It’s 2018. Vehicles have literally been around for over one hundred years. In that time, we’ve gone from cars, trucks and SUVs that have traditionally used gasoline and oil to fuel engines, to cars that you can plug into the wall and charge overnight. But what effects have the last one hundred years meant for vehicles that still use combustion engines? In the past we’ve all heard from the national lube and tune-up companies, “You need to change your oil every three-thousand miles.” But is it true? What is the lifespan on oil in your vehicle? How can you tell if you really need to spend the time and money on an oil change? Today, vehicle manufacturers’ process to build engines is far advanced than it was even a few decades ago. Cars perform better, produce less exhaust and yes, use oil more efficiently. If you have visited the Melloy Dodge Express Lane for a no-appointment oil change or tire rotation, you most likely noticed that our service team leaves a new type of ‘oil change reminder’ on the windshield. Depending on your vehicle, it may recommend up to 5,000 miles between oil changes or read “See Oil Light.” That’s because many vehicles can display and alert you when it’s time for any needed service, including oil changes. 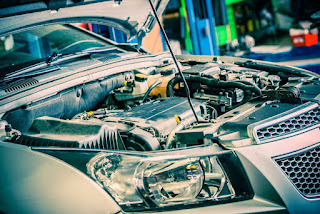 Of course, you always want to keep up to date with how your vehicle is performing. Not sure if you need an oil change? Check it yourself. All engines have a dip stick to check the quantity and color of your oil, so you can see if the oil is low or becoming very dark, signs that your car needs to be serviced. . Be sure, however, to always refer to your owner’s manual for your vehicle’s recommended service. Drive in peace knowing your oil and vehicle are performing optimally. And when it’s time for an oil change, or when you have any automotive service questions, call the Melloy Dodge Service Department or visit the Melloy Dodge Express Lane, where no appointment is needed. We’re located at 9621 Coors Blvd NW in Albuquerque, just north of Paseo del Norte.